We present our debut collaboration with Sherbinski, the best so far. Still don't know what authentic U.S. pot smells and tastes like? We bring you 6 new strains to enjoy the best Cali flavors! We are a northern Californian cannabis seed bank located in one of the most important cannabis-producing regions in the USA: Humboldt County. Quality is our highest priority and, from the heart of the Emerald Triangle, we bring you the very best marijuana seeds. The cannabis seed bank Humboldt Seed Organization showcases a wide variety of feminized seeds derived from Californian genetics noted for their excellence, heavy yield, strong effect, and genuine flavours and aromas. We have selected the very best ones. Don’t miss out on this amazing opportunity! 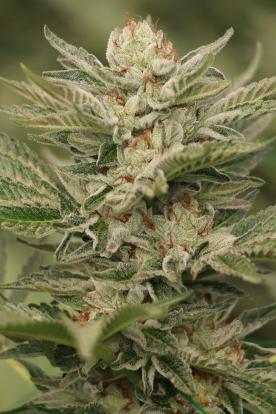 Humboldt Seed Organization has developed a collection of autoflowering seeds using elite Californian genetics: a set of innovative seeds that preserve each and every of the old-school traits with which everyone will be able to enjoy the amazing sensations provoked by these top-quality genetics, regardless of their region or their experience. Enjoy the most exclusive Californian gardens! Humboldt Seed Organization regular seeds can make you travel to the ’60s. Our seed bank has succeeded in keeping intact all the excellent traits (potency, flavor, aroma and beauty) of some of the best Californian cannabis seeds ever to be created. Now, we are happy to put them all at your disposal. Don’t wait any longer! Our collection of high-CBD cannabis seeds, already available in our catalogue, allows a wide variety of users to sustainably consume quality therapeutic marijuana with a moderate effect. At Humboldt Seed Organization, we have combined our experience and the most technologically advanced techniques in order to create a CBD version of some of our best made in the USA genetics. They are incredibly surprising and innovative CBD-rich marijuana seeds that masterfully blend the original traits of the classic Californian genetics and the benefits of CBD. Humboldt has a long and rich history of cultivating cannabis. During the late ’60s, many people started to migrate north from San Francisco into the deep untouched landscape of the Pacific Northwest. These “free-spirited hippies” seeking an alternative and more sustainable means of existence created a “Back to the Land” movement. Living with fewer amenities, minimal material possessions and very distant from the populous California, they cultivated an ideology that would eventually transform the entire region. Filled with a deeper connection to the Earth, this seclusion provided a safe and explorative space for many to participate in the evolution of modern cannabis. Renown for its quality during more than 40 years, the region has pushed the boundaries of what is possible from both cultivation and regulation for the state and nationwide. Humboldt County has become the place with the highest concentration of progressive organic gardening techniques carried out by some of the best growers and elite genetics in the world today. The miners of the gold rush in the nineteenth century came and bought land, with the classic American desire to become millionaires at any price. Most of them did not make it, and the population declined when the gold ended. Humboldt Seed Organization from Northern California consists of a group of breeders possessing some of the best genetics on the planet. With over 25 years’ experience, we have one of the largest libraries of the entire cannabis community today.